If you want to learn how money transfer companies operate from top to bottom, and whether you are safe in using them, you have come to the right place. Our Frequently Asked Questions section was written by our expert staff for a period of more than 3 years. We are consistently adding more questions and improve the Look and Feel. All information is provided for free but does not constitute as financial or legal advice. Feel free to ask questions at the bottom of this page on the comment area of this section. What is a foreign currency transfer? What are some of the advantages of these providers against banks? What are some of the disadvantages of foreign money transfer services? Can I access Premium features as a private client? What type of Premium features are available? How do currency transfer companies differ from high street banks? How safe is my money? How reliable are money transfer companies like Transferwise, Moneycorp or World First? Do FX companies accept international clients? Can I open an FX account anywhere in the world? Which money transfer company is right for me? How good are the exchange rates and fees? Are there any other differences I should know about before turning away from my bank and trying an FX company for the first time? Are Western Union and MoneyGram included in the “FX money transfers” group? Can I lock current rate for a future transfer? Can I set periodic or recurring international money transfers? What changes if I am doing an FX transaction as a business, rather than an individual? Which payment systems are used? Can I transfer money to pick up in person? Should I use a Peer-to-Peer currency company? Should I use cryptocurrency companies? How can I predict future exchange rates? A transfer of money usually from one country to another, with an exchange of currencies at an agreed rate. When you transact such transfers via your bank, there are a lot of hidden fees involved and it is difficult to understand how much money you’re paying for this service, and how much will the recipient will get eventually. It is often a lot more than you think, and for that reason we have created this money transfer FAQ. Money transfer companies are non-bank entities that specialise in money and currency transfers for individuals and businesses. They are essentially intermediary service that buys currency at wholesale rates and sells it to customers with a sizable discount in comparison to banks (and while doing that, they also facilitate overseas bank transfers , offer guide and offer hedging instruments – but still, their main business and buying and selling currencies). You can find our best money transfer companies selection here, and see the differences between fx companies and banks here, or continue reading to get a full understanding of the service. What are some of the advantages of these providers over banks? We have listed some of the advantages we see in money transfer companies over banks. It is obviously not true for every money transfer provider and every bank in the world, we use some rough generalisations here to help you digest the content in the simplest manner possible. In other words, you go to a money transfer company if you want to slash fees and get better FX rates on international money transfers, and/or you want a better level of service than you do with your bank. Please note FX companies are not able to perform activities your bank doesn’t such as cashing a foreign cheque with no clearing. Nothing in life is all roses and no thorns. Obviously, banks have their advantages against money transfer companies. Similarly to the last question, this is a rough generalisation which was simplified in order to help you get a quick understanding of why to choose a broker over a bank (or vice versa). Can be hazardous picking an foreign currency broker – although this is why MoneyTransferComparison.com is here – to sort the wheat from the chaff for you. Greater risk of financial insolvency compared to a large bank – although this is largely a perception – there were less cases of money transfer providers collapsing than banks collapses or going astray. Lack of regulation has meant a comparatively low standard in the FX industry compared to other asset classes such as equity/bond/derivative niches – therefore some FX brokers can exhibit repeated poor quality service, low attention to detail, provide incorrect information and use persistent upselling techniques not in the best interests of clients. We obviously think the advantages overcloud the disadvantages in this field and the answer to “how to transfer money internationally” is undeniably “use a money transfer company”. If I sign up with a money transfer company, can I access Premium features as a private client? Most added-value features can be accessed by individuals, although it may depend on the level of business being done. FX companies are under no obligation to offer anything extra besides the transfer of funds and the currency exchange. They often do so as incentives to encourage more business and generally try to offer better quality services as an incentive to obtain greater trading volume. What may these premium features be? Access to a dedicated account manager with expertise in foreign currency that will guide you when and how to transact the funds to get the best rates, including free market commentary, forecasts and analysis. Access to an online system and app designated only to transfer money abroad. Hedging tools, mostly Forward Contracts and FX options. Banks have banking licenses which allow them to keep money on deposit and to pay interest on deposits. Currency transfer companies are essentially payment vendors that can only receive and distribute your money in accordance with strict guidelines. As a result, banks are the ‘default option’ when it comes to making currency transfers abroad. Banks give their customers an All-in-One service that allows his/her bank account in one country to automatically receive funds sent from another bank account in another country. The rates at which these currency transfer are exchanged can sometimes be termed extortionate because they are done as a last resort and the client accepts the payment having paid over 6% on spread and a further fee on commissions and sometimes even another fee applied by the banks taking receipt/sending the money. It can therefore pay to spend a little time doing some research and a bit of legwork, to save yourself a packet in the long run. Read a side by side fx company / bank comparison here. Nowadays, money transfers have become incredibly simple. Step 2: Complete routine application form including name, address and provide an ID check. Several checks are made during the application including anti-money laundering and some companies reserve the right to conduct a credit check. Step 3: Either via phone/internet/mobile app, select the amount of money you would like to exchange for the currency you need. For example, if you have British pounds and would like US dollars, you would choose to send in British pounds, and receive US dollars. In other words, you will be selling British pounds, and buying US dollars. How long will it take? read our detailed guide on how long does it take an international money transfer to go through. 11. What do I need to make the transfer? Your bank details: Recipient’s details – name, address, name and address of bank, country they hold the account in. You will also need their International Bank Account Number (IBAN) and Bank Identifier Code (BIC). Step 4: Your chosen FX company will provide payment details for you to send money to. You will need to instruct your bank or send the funds via online banking. Step 5: Your chosen FX company will send you your desired buy currency usually with 2-3 business days (sometimes longer depending on the country), in this case US dollars to a US dollar account you have nominated as part of the transaction setup process. Note: All money and currency transfers require the funds to be sent and received by the same named person in line with anti-money laundering regulations. All legitimate FX companies in the UK must be registered with the Financial Conduct Authority (FCA), previously named the Financial Services Authority (FSA). Note: Regulatory guidelines and operational conditions relating to FX transactions, trading and all other financial services — can differ greatly from those imposed by the FCA. Therefore, it is essential to check the regulatory framework that is in effect within your country of residence before conducting an overseas currency transfer, or money transfer for that matter. The best companies to choose from also have long trading history, and hundreds, thousands, or tens of thousands of positive reviews online that you can read. But remember, the FCA is not a policeman that is called when you think something untoward has happened. The FCA operates a self-regulatory model whereby all financial market participants under it supervision are required to regulate themselves in accordance to agreed guidelines and requisites. Individual clients have the option of complaining to the UK’s Financial Ombudsman for restitution if they believe they have been treated unfairly. The Financial Ombudsman is not designated for companies or institutions so if a company has a grievance towards an FX company, it must seek restitution via the civil or criminal courts. All companies accept clients from the UK, and the majority of them accept UK citizens who reside outside the UK as well. As far as other locations go, the largest companies would usually accept clients from financially sound countries such as (but not limited to): USA, Canada, Australia, all EU countries, Scandinavian countries, South Africa, New Zealand, UAE, and Singapore. 1. Each FX company is given some degree of freedom and commercial choice as to who and how they accept as a client. It is therefore essential for all clients (individuals and firms) to conduct appropriate due diligence regarding their rights and limitations with respects to conducting international financial services. Also check out our Send Money Abroad page which can help find clients find appropriate companies for them. 2. International agencies such as Interpol, government security agencies and legislators will often issue various changes to current legislation and change how some clients are able to operate. Recent examples include sanctions imposed on Iran, Russia and Syria which have greatly reduced the extent to which Iranian, Russian and Syrian citizens/firms can participate in financial services such as money transfers. 3. Also, recent changes to which countries are deemed ‘high-risk’ as opposed to ‘low-risk’ has meant some citizens requiring to provide several more copies of identification documents, extended address and background checks, as well as deeper checks into past financial dealings including credit checks. Generally speaking, the major developed countries such as the UK, US, Europe, Australia, New Zealand as well as other highly developed countries such as Singapore, Japan, Brazil, Canada, South Africa etc. 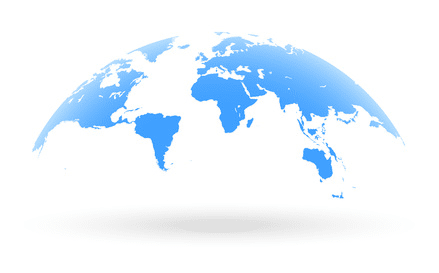 are all deemed low-risk countries which means fairly simple account opening requirements and dealing conditions. Aside from a proof of ID and address, there is almost no other prerequisite. There are however some regions that are currently deemed high-risk (Nigeria and other parts of Africa, as well parts of Latin America and the Caribbean) or have existing economic sanctions imposed on trade including banking services (Iran, Russia, North Korea, Syria). The extent to which these political changes affect you as an individual or your firm, the best course of action is to contact several FX companies for clarification, your national financial sector regulator where you are based, or seek independent financial advice from a licensed professional. Some regions are deemed to pose a high-risk to financial institutions including countries such as Russia, China, Venezuela, and other parts of Asia and South America. This Compliance aspect of financial services is constantly changing and we recommend visiting the FCA’s website for more information on how it could apply to where you are based. View our list of recommended services for sending money abroad here. This is probably THE most frequently asked question — and already in the question lies a clue to the answer. From the myriad of online currency services available to individuals (and companies), there are always cornerstone differences that set one company from another. In currency exchange, a few major points of difference stand as the major differentiators for customers. Any currency provider, offering any specific type of exchange will typically differentiate and compete on access, price and service. Depending on what type of customer you are, or what type of activity your company does — will usually decide which feature is most important. Do you need to have access to your currency transfer service quickly? Do you need access to spot FX? Or forwards? Or options? Do you want that access via phone or online? Do you want access to be for you for multiple people? Do you want one account or several? Do you have a business account? Do you have a residency in several countries to facilitate a greater degree of freedom to conduct a currency transfer? Depending on the answers to these questions, will decide which type of FX broker will service the ACCESS component. Do you need razor thin spreads when conducting an FX transfer? Or are you willing to give up ultra-competitive pricing in exchange for something else? Do you have intentions of doing several transactions? Do you intend to use forwards or options, especially if operating as a firm? Every FX company likes to claim they always have the most competitive pricing when it comes to currency transfers; but this plainly cannot be true. In truth, each FX company will try to generate the maximum amount of commission and revenue for itself, in exchange for a happy client getting what he/she expects. The key for clients to remember, is they must learn what is OK to expect, and what isn’t. It is important for clients to study the Terms and Conditions of their commercial agreement in detail, to ensure they understand what rights and limitations they have. Over 99% of the time there are no complications or issues with FX transfers and there over $4 Trillion of them done on an average day globally. However, due to the fact FX is not regulated to the same degree as other financial instruments such as stocks or financial derivatives for example; the amount of malpractice and outright fraud is proportionately higher in FX compared to other financial niches. This aspect should not deter, but must be understood for clients to make correct choices when choosing their FX broker and when making decisions in their financial affairs generally. Depending on the answers to these questions, will decide which type of FX broker will service the PRICE component. This is 80% of the battleground for FX companies. Whereas price and access are just 20% because financial technology now allows most brokers to offer very competitive pricing and sophisticated online/mobile functionality almost as standard in 2016/17. — the other 80% is how that pricing is delivered and how the customer feels about it. FX companies will offer a huge array of bells and whistles to make the process of currency transfers seamless for individuals and firms. We would recommend browsing our Broker comparison page to see the variety of additional services that are available. In some way or another, each customer service element is designed to make the process smoother, cheaper, less daunting, more secure or just more fun! FX companies tend to provide dedicated account managers for certain clients depending on volume traded, location, account size, or — because the client actually asked for something. This brings us to our most sacred tip here at MoneyTransferComparison.com: It never hurts to ask questions!!!!! Clients are always encouraged to engage with their FX broker with direct questions in order to both understand the process of currency dealing better, and also to get a better overall service. Discounts and promotions only offered to new clients. Insiders tip: If an existing client asks to participate in a current promotion aimed at new clients only; brokers struggle to say refuse. All information an FX broker has about you including all telephone recordings, can be requested under the Freedom of Information Act. There are so many companies to choose from — how do I choose one? Refer to our previously stated simple steps — Focus on Access, Price and Service. Pick the combination of the three that suits you best. When picking a broker with security of funds in mind; focus on reputation, credibility and previous reviews. We would highly recommend doing a small test transaction, or even a few, to start with in order to gauge the efficiency of the entire currency transfer process. This test-phase could also reveal some of the hidden costs that can lurk behind any enterprise, and give you a better understanding of what level of FX service you are comfortable with. Most important rule is to Ask Questions of your FX broker and help to foster a strong working relationship by reading all the material provided to you carefully as part of the account opening process. As a rule of thumb you could say that in every case you should be able to save at least 50% of your costs compared to a high-street bank. While banks operate on high margins, they often incur additional commissions, and have high fixed fees that bloat the overall cost. FX companies are typically cheaper but require some additional effort and due diligence to setup initially. Another rule of thumb, is that the more transactions someone expects to do, the more saving they can potentially make. As a rough example, an individual considering doing an FX transfer of £10,000 to US dollars is likely to save anywhere between 2%—4% of the total sum, which in this case is £200—£400. Firms can expect to obtain even higher savings due to the larger sums usually involved. For a firm that conducts around £500,000 per year, that amounts to around £10,000—£30,000. FX companies tend to operate on a low-margin business model, charge little or no commissions, and charge no fixed fees (greatly dependent on which company, of course). When we do our company comparison, we mainly take credibility, reputation, ease of use, and assistance level. There many other things we review and take into consideration but these are the main ones. Of course an important aspect would be the actual transfer costs, but this is something which is pretty difficult to compare. Each quote is individual in nature, and true for its individual circumstances. These are our top rated companies. You should feel welcomed to navigate through the site, and discover more companies (there are other good companies that just didn’t make it into our top 3). The first thing to remember is to not consider working with an FX company as ‘taking a plunge’. Having chosen a well-respected and established company such as World First, Moneycorp or Currencies Direct … or alternatively, having chosen a digital disruptor, that’s up-and-coming and earning respect across the world, such as CurrencyFair or Transferwise, you should be in good hands. So the next step is to consider the small foibles that may or may not be acceptable to you. This could include opening times, what type of communication method the FX company prefers, whether the FX company has staff you can speak with during your operating hours etc. Bear in mind FX brokers are constantly tweaking their operations, introducing new services, features and promotions, so it is recommended to check this website every once in a while! Money transfer companies, also commonly known as Foreign Exchange (FX) brokers, or currency dealers, started popping in the UK in the early-mid 1990’s as a result of widespread financial market deregulation and greater innovation of financial products and services. To this day, London remains the epicentre of the FX market in terms of volume traded, people employed and revenues generated. Specialised FX firms entered the market as an alternative to banks who had a monopoly on all transactions involving FX. Greater competition in financial services provided better prices for clients and more sophisticated financial instruments such as FX forwards, futures and options. Some large firms like Western Union, MoneyGram, Ria money transfer, Transfast, or Travelex also offer international money transfers, on top of travel money, postal money transfer, traveller’s checks, and high-street exchange services. However, Travelex does not operate in the same niche as a company like HiFX or Currencies Direct for example. They are small remittances oriented and offer cash withdrawals which money transfer companies we recommend don’t. You could say they are direct competitors to companies like Azimo or World Remit. The market positioning of a company can sometimes influence what price, access and service it can offer clients. We still covered them on our reviews and they got terrible ratings – Western Union review and MoneyGram review are available here. This can however change, and we encourage all readers to review any FX company they have dealt with in the past, by visiting our Review page and adding their comment. Read more about remittances transfer here, and also browse through our remittances market overview here. In technical terms, fixing and exchange rate can be called hedging and consists in entering into a forward contract transaction. A forward transaction is exactly the same as a spot transaction, only it is agreed at future date at a pre-agreed exchange rate. Currency transfer companies have a wide range of products that can enable you to fix the forward rate (up to 2 years) for as many as 60 different currencies. You can read more about it here – Foreign Exchange Hedging. Most participants in these contracts are small businesses and we have covered the advantages and disadvantages of corporate foreign exchange here. The simple answer is yes. Not only that, by setting up the appropriate apparatus with respect to your online banking, it is possible to automate every step of a currency transaction to the point where you are receiving monthly payments in one currency, and receiving a converted exchanged rate on exactly the same day each month. You just have to ASK your FX company or currency transfer specialist to assist. The top FX companies will offer you a variety of options enabling you to make regular payments (like payment of mortgage abroad, salary transfer, remittances, and pension transfers). Beware of “Honeymoon Rates”: When you set up a regular transfer make sure the company will keep offering you the same margin as with your first transfer for future transfers. If you don’t, some companies will widen their spreads over the course of time. Doing a currency transfer is exactly the same although the required documentation is slightly different. FX companies typically require business accounts to provide a Certificate of Incorporation, registration documents, company accounts and may conduct an independent due diligence assessment through third parties as part of account opening. As a general rule, the larger a business in term of annual cash flow, the more likely an FX company is to offer ‘zero deposit’ conditions on forward deals, offer lines of credit for pending FX transactions and to cover margin requirements. These types of boutique service options are only open to businesses because there is a lower probability of a company failing to pay its financial obligations, as opposed to an individual. A large part of these companies’ clientele is businesses, and in particular small businesses. In addition to the aforementioned advantages mentioned in this FAQ page, there are additional considerations detailed on our Business Foreign Exchange Services page. If you want to learn about which payment systems are used by banks and FX companies to make transactions smoother, quicker and cheaper, read our How Wire Transfers Work page. Clients looking to make a currency transfer to another country, and collect their exchanged currency in person have some options. This refers back to the ACCESS element of choosing an FX broker. Companies like Azimo or World Remit offer that, but most of our top rated companies don’t. Our focus is on transfers of tens of thousands or more, and picking that amount in cash doesn’t make sense. If you are looking for cash travel money – that is a whole different thing. In addition to offering international money transfers, companies like MoneCorp also allows clients to select to pick up a limited amount of money in person at an airport or one of its kiosks located around the world, including central London locations. Other competitors offering this type of access to FX are Travelex and Western Union. Read our Holiday Money Rate Comparison page for more information. Over the past 5 years, a new breed of currency transfer company has been born. The premise works like so — instead of clients going to a broker or a bank to conduct their currency transfers, what if they could simply contact each other and deal directly with each other, therefore avoiding the additional fees? The concept of peer-to-peer services has graced file-sharing and many other digital niches including currencies altogether. Bitcoin is a crypto-currency that is made possible and maintained through the power of many users working as a single network. CurrencyFair and Transferwise are two examples of P2P currency companies and have received good reviews from the majority of users. The main attraction is lower transaction costs and speed of transfers, but this is slightly let down by a lack of premium features such as dedicated account managers and instruments such as forwards, futures and options. For more information on peer-to-peer(P2P) currency transfers visit our Peer to Peer Money Transfer Firms page. Should I use a cryptocurrency for online money transfers? Blockchain may be the future of money transfers but using crypto currencies is problematic because of their problematically volatile nature. Ripple may bring promise with it but we would not recommend this method for remittances in spite of low fees and flexibility. How can I predict the exchange rates? This is too difficult to address in this FAQ. We welcome you to stay up to date with our currency predictions and up to date economic calendar and our read our guides about economy and currencies and technical analysis. The entire moneytransfercomparison.com Team wishes you a successful journey on your way to saving money on currency transfers. We are sure that by now, you know how to transfer money internationally with ease and confidence. Be sure to leave comments and further questions on this page. We would be glad to answer. Hi ….I’m hoping to complete on the sale of a property here in Ireland and have registered with Currency Transfer.com …a London based company. My initial dealings with staff have been good but it’s the first time I’ve ever considered such a way of transfer. I have read your approved and trusted list and they do not appear to be on the list.? My husband’s Italian pension, paid in sterling is 3/4 less since the Brexit debacle.